Who would have thought that a challenge from my favorite blogger would have sent me on an odyssey throughout Connecticut’s bird sanctuaries? When Kristopher contacted me in December of 2014 and asked if I wanted to join him in a mini Big Year, I – of course – said yes. What better way to see Connecticut parks and wildlife preserves (and a few in New York and Massachusetts)? I developed my fondness for birding from my mother, who in 1977 bought me my first birding field guide. The book, which I still own and refer to, is the National Audubon Society Field Guide to North American Birds: Eastern Region. This one gift opened my eyes to the wonders of birding and gave me a lifetime hobby that I can enjoy anywhere in the world. I have always notice the birds around me but never considered them the way I did this past year. So with binoculars (or bins to the pros) and camera in hand I hit the trails. 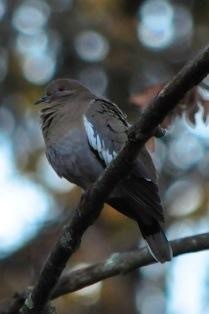 For the first 5 to 6 months, I birded locally, within a 30-minute radius from home. 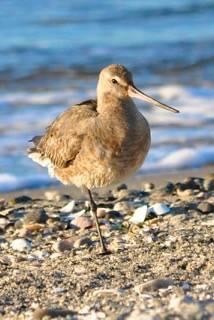 Considering how close I am to Long Island Sound, I have easy access to many shore birds. The good news is that I picked up a lot of species close to home. My rookie mistake, however, was that I kept going to the same places and spotting the same species for months. I guess I thought they would come to me! eBird was a blessing. Who knew that you could find out where the birds were from the comfort of your home. It got a bit easier after that! Finding birds reported on eBird does not guarantee that birds will be there when you are, they do have wings. My adventures ranged from the icy, snow-packed marshes along Long Island Sound to the sandy beaches of Martha’s Vineyard. It was on Martha’s Vineyard that I saw my first owl, or maybe not! 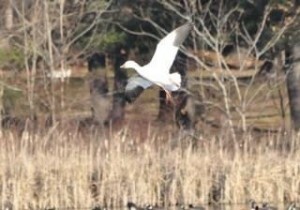 I crept through marsh grass and thickets with my camera for about 200 feet and took about 10 pictures of the bird. 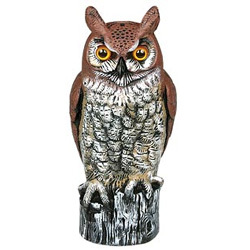 I looked closely at the pictures when I got back to the house and realized that I had stalked a common owl decoy! That was a lifer! This past year was also a banner year for me with respect to rare species for the region. Early in the year I picked up a Barrow’s Goldeneye outside of Hartford. 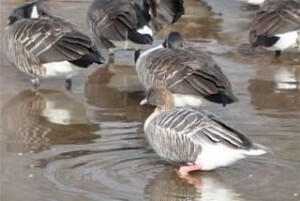 The Pink-footed Goose was very exciting, as well as the Ash-throated Flycatcher, and Hudsonian Godwit. None of which proved easy to find. I learned that patience and persistence usually worked. But even with those lessons, I didn’t see even half of the birds identified in Connecticut. 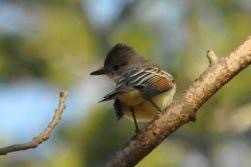 I also have come to appreciate common birds I have seen most of my life. I look at gulls differently now. Is it a Ring-billed Gull or a Laughing Gull? Was that a Bonaparte’s Gull or Franklin’s Gull? I may have seen them in the past, but considered them just gulls. Both the Bonaparte’s and Franklin’s Gulls proved to be elusive in 2015. Maybe 2016 will be the year I add them to my life list. The truth is, the fun was in the journey. With that said, I saw more species this year than I ever could have imagined. I can’t thank my mother enough for introducing me to bird watching or Kristopher for this friendly challenge. I think 2016 will be a banner year where Kristopher and I both pass 200 species!